OPERATION CLASSIFIED was a Dallas conference put on by John B. Wells two weeks ago on November 9-11, 2018. The crowning event was a post conference Ball with a $350 ticket price, as proceeds were slated to be given to General Michael Flynn’s legal defense fund. The cost of renting an exhibition booth for this conference started at $695, and for only $10,000, one could reserve the gold dinner table at the Ball. As I was reading these pricey details in the event brochure, a name from the past popped up, which some of my readers will recognize: Jeannie Moore. Operation Classified Exhibition Coordinator Jeannie Moore also runs the Hear The Watchmen conferences and was involved at one time in a GoFundMe account in the name of her husband’s anonymous handle, Mike Whitestone. Legally known as Mike Kerr, he once created a furor in Orange County, CA over his mishandling of a charitable cause. As the contact person for the Operation Classified exhibition booths, Jeannie @Jeannie Moore777, still retains her 949-702-7191 phone number from the South Orange County/Camp Pendleton, California area, despite having moved to Idaho. On March 24, 2016, I wrote an article called Mike Whitestone and his GoFundMe Accountability to Man and God. At that time Mike and Jeannie were organizing the first Hear The Watchmen conference, which resulted in a highly publicized Christian Alternative Media controversy, when Nathan Leal departed their company after he protested another conference speaker’s false doctrine. 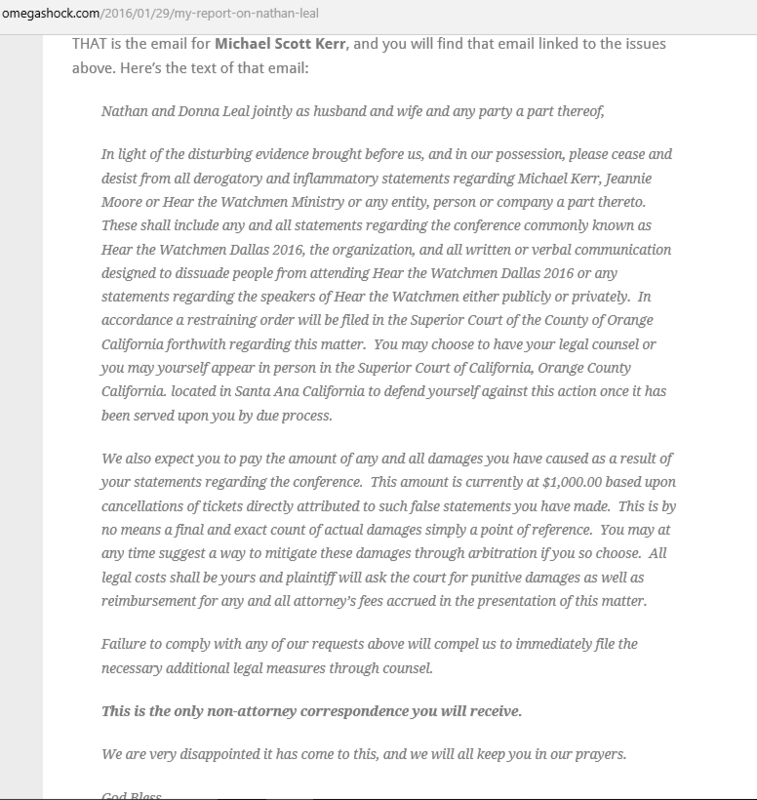 This in turn caused an investigation into Mike Whitestone’s past reputation in Orange County under his legal surname, Kerr. Around that time, I had also written about John B. Wells and his involvement with that first conference put on by Mike Whitestone and Jeannie Moore. In a February 20, 2016 article called, The King of Jousters, John B. 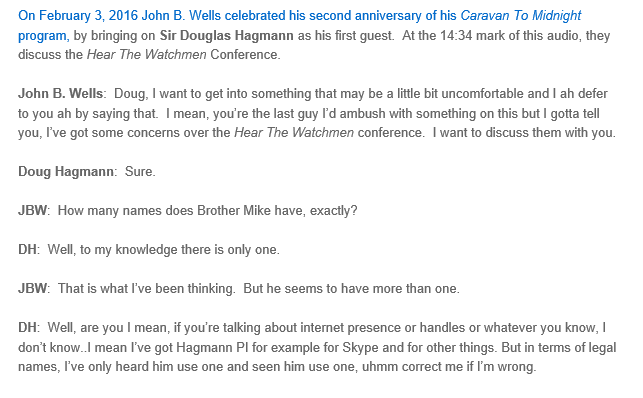 Wells and his ARK Knight-errant, Sir Douglas Hagmann Give A Private Exhibition of their Prowess, I transcribed an internet radio conversation between Wells and Hagmann where they attempted to do damage control on Mike Kerr/Whitestone’s reputation. But enough of memory lane, that Whitestone GoFundMe account brought back some interesting past and present connections between the various Alternative Media stars. Back to Operation Classified! John B. 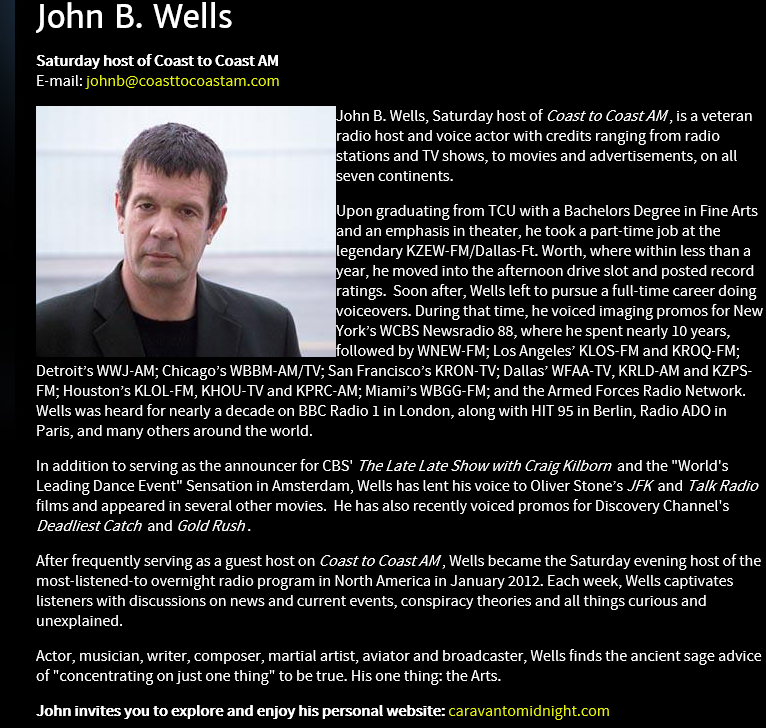 Wells advertised his event in a Classified Subject Matter promotional stating, “This is a classified operation, which involves deep state disclosure, ground breaking research and breaking intel. Absolutely no bravo sierra will be permitted”. (Hahahahaha! laughter heard from the Tracking the Meroz blogsite). The general admission ticket was $160 for early registration, going up to $190 and then $300!!! if you waited to register until after the secret classified guest name was revealed. The VIP ticket started at $490, going up to $690. One of those ticket holders attending the Dallas Operation Classified conference was L. A. Marzulli, who learned from Los Angeles officials while he was there, that his Undisclosed Location had burnt down in the Woolsey fires. On November 11, 2018 Marzulli created a GoFundMe page for $150,000. As we go to press, he has received over $129,000. He upped his GoFundMe to include $50,000 in uninsured inventory. I suppose the other $100,000 is to keep him in style, while his expansive “undisclosed location” is rebuilt with insurance proceeds, giving him a brand new home. L. A. Marzulli’s fire-destroyed property included a house, a 1,000 square foot guest house, studio, garden, and belongings, (except those that he had placed in the fireproof root cellar). He began his alms for the poor GoFundMe testiMONEY by saying, “It’s me, L. A. Marzulli, and I’m no longer able to come to you from our undisclosed location, deep in the heart of the Santa Monica Mountains”. Lest you think that I have no compassion for Marzulli’s situation, I lost everything I owned including irreplaceable baby photos in 1983, in an arson fire. So I have understanding of the shock of realizing that familiar and comforting material belongings are gone for ever. I started over with nothing, as many do in those situations. Coming from parents who went through the Depression and then World War II, it was unheard of in my world to publicly beg strangers for thousands of dollars just because there was an extreme set back in life. One possible reason why L. A. Marzulli might be living his life out in a seemingly nice undisclosed location is because of a past fraud he committed against some of his donors. On February 28, 2016 I wrote an article called Intercessory Nightmares, which began with a story about L. A.Marzulli, who had been examined by the Herescope blog in an article by Gaylene Goodroad, of the Discernment Research Group. So here is another GoFundMe Christian who asked for $7,200, but received more than that from 35 very generous benefactors. It seems he was changing jobs, and could not come up with the costs of moving to Dallas from that far away land of Erie, Pennsylvania. Robberson had been making $3,250/month salary working for the Hagmann Report, yet he felt the need to beg for alms despite having a nice income. He has not mentioned having a family to support, thus I am under the impression that he is a bachelor. Now he works for the John B. Wells show, as Producer and Program Director. Jon Robberson requested moving funds so he could move from Erie, PA where he had been producer of the Hagmann Report to work for John B. Wells who recently hosted the Operation Classified conference in Dallas. Chosen by God to be a Frontline Fighter Against Evil? Anybody ever hear of Caspar McCloud? I am out of the loop. “Today the move goes to point-of-no-return mode. After a 12:45pm appointment to get glasses (finally) I slap down the money for the truck. I will periscope tonight at 8:30pm EDT (5:30 Pacific) with more details then. Have a blessed and beautiful day everyone.❤️❤️”. 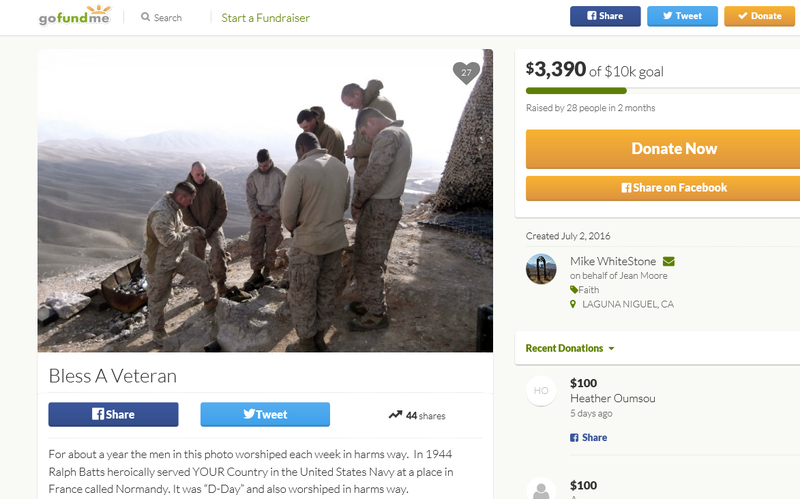 The last GoFundMe example is Kevin Shipp, the former CIA agent who claims to be a whistleblower. He was one of the speakers at Operation Classified, although he was not THAT special secret speaker that was not named until the very last minute, to keep everyone in high suspense. He only wants $100,000!!! Generous donors have given him $4,400 since August of this year. Here is the link to his testimony as to why he wants just a simple low-end six figures. Unfortunately, we are out of space in this article, since Robberson is a prolific writer. You can read Shipp’s story at this link: [Fundraiser by Kevin Shipp]. In conclusion, there are multitudes of Christians, as well as others, who have had severe set backs in life; yet most move forward without complaint, and without asking for donations. (Often many who donate generously to others, are less well off than the person who has created their own fundraiser.) There are spiritual components to every word and deed which we bring forth, and like many of my readers who have known the hard aspects of life first hand, a quiet thankfulness in all things which are meant to humble us, or which reveal the mercies of God, is of great value. There is a You tube video published January 13, 2017, of an interview conducted by Lyn Leahz with Pastor Paul Begley which is titled, Known Pastor Gets 3 Disturbing Visits From Gov Agents-Shares Horrifying Details! Exclusive Interview. It always makes me cringe when I have to provide a link to such patently false “interviews”, as it is commonly known that the originators of such, receive income from the advertising. At the time when I watched this video, the number of hits was approaching 224,000, and so it goes…..I made some rough notes, and walked away. But first you may wish to see what notes Lyn Leahz has made on this exclusive interview. One of the strange effects of watching this video was that I suddenly started to feel sick and lethargic, and I began to want to reclaim my blood cells. Thankfully, Lyn claims to be able to provide the antidote, if only I were willing to fork over some money for the cure. Here is my rough outline of this video featuring an interviewer who failed to ask any probing questions of Paul Begley, as he related his story sitting in front of his computer camera in a darkened room. His claim is that on three separate occasions, a Christian NSA agent and his lady friend visited him and his wife, Heidi, at public restaurants in the months of July and September of 2016, and the week prior to the January 13, 2017 video. The NSA agent asked who his sources are, and explained the ways they have to kill people like him, and told him of a list of about 20 Alternative Media persons who are being monitored. Begley mentions a few names and coincidentally many of those persons just happen to be speakers at the upcoming Hear The Watchmen conference March 31-April 2, 2017. Hmmm, what do you know? The two persons in this video are also speakers at this conference. The NSA guy is reported by Begley to have said that 2 agents attend these conferences to monitor them. Should an NSA agent be disclosing this information? I see that Larry Nichols is one of the speakers; no doubt this former hit man for the Clintons can figure out who the interlopers are. Although Begley claims that this NSA agent told him that they have 9 ways to kill him, Begley does not tell us all of the ways except that one of them involves an unexplained car crash where the other individuals disappear. In fact, he brings up an incident where he just so happened to have survived such an unexplained car crash. A warning? Or perhaps the NSA operative who caused this accident, and then disappeared using his false identification, had actually failed his mission? Why am I not surprised that Begley did not give us a police report number, date, location, or the description of the culprit who caused the accident and was found not to exist? Begley says the NSA does not like the Alternative Media to speak the words New World Order and Illuminati, and doing so may cause that person to end up on the “list”. The back alleys of deep black secret assassination operations must be littered with thousands of agents hiding, after they have caused unexplained accidents for all those radio hosts that had to be done away with, because their vocabulary consisted of only two words. Methinks I am beginning to like this mission of the NSA. Here is one thing that is crystal clear about this interview. It has been structured as the classic PSYOP passive aggressive bear trap. A Passive Aggressive has many frustrating traits, but they love to withhold crucial information, making it more difficult for you to make sound decisions. If you should ask questions, trying to learn the crucial details, they won’t answer, or they will procrastinate, or throw some false leads in, to make you further frustrated. Next thing you know, you are discussing your frustration in some chat room, or Facebook group devoted to seeing who can push the “post’ button the quickest on the latest fake news report. Perhaps this interview is a means to do an image makeover on the humdrum Hear The Watchmen conference which took place in Knoxville, Tennessee in 2016. You know, give it an exciting ambiance; some real excitement like that which Doug Hagmann provided during the first conference in Dallas, with the report of a police surveillance tower that was brought in because phone threats were reported to have been made against the speakers. If you plan to attend this next Dallas Hear The Watchmen conference, you might want to heed the Paul Begley warning. I recommend that you do not drive around in the same make and model of the cars used by any of the speakers. Your life may be at risk. What if the NSA operative who is assigned to cause unexplained car accidents is incompetent and mistakes YOU for them? So we are left to fill in the blanks, and with my wild imagination I will gladly offer some thoughts. I wonder if these 3 mysterious meetings at restaurants were with Mike Whitestone and his wife, the organizers of the Hear The Watchmen conferences. They like to leave out crucial information, also. Since Begley waffled around so much in this video, would you be incredulous if I suggested that they met at the Waffle Hut? Begley said that the “NSA man” showed him ID and credentials. I bet he did, hahaha. Any legal names there, Mr. Whitestone? Now why would the NSA want to know what the sources of Begley’s information are? The other night he reported on an asteroid which was going to hit the earth, and guess what? My guess is that it missed. In the meantime, my advice is that you do not speak the words New World Order and Illuminati. Paul Begley, being one of the Brightest Bulbs of Novus Seclorum Ordo has given us another dire warning of the bear trap which is being laid in Dallas. 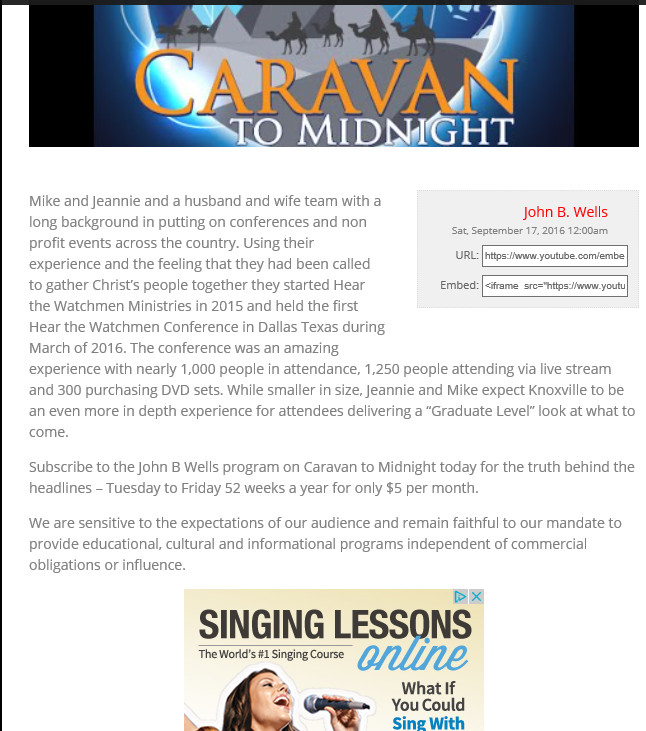 It would appear that many are contemplating the upcoming September 30-October 2, 2016 Hear The Watchmen Conference in Knoxville, Tennessee, as I see an upsurge in the readership of this blog’s dozen or so articles on the first conference, which took place in Dallas last March 18-20, 2016. 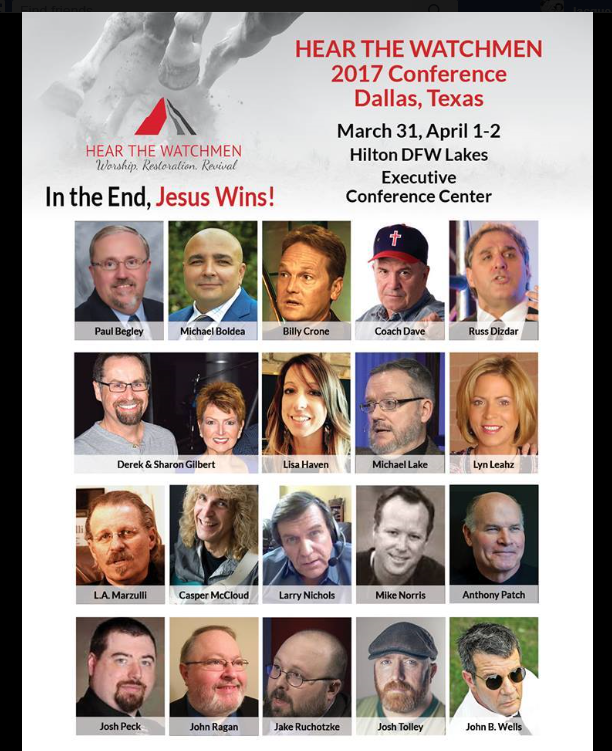 That first Hear The Watchmen Conference had featured 9 key speakers, Paul McGuire, L. A. Marzulli, Pastor David Lankford, Michael Boldea, Russ Dizdar, Jon Robberson, Gregg Jackson, Coach Dave Daubenmire and Pastor Flip Benham. In addition, the emcees for the Dallas event were Doug and Joe Hagmann, John B. Wells and Sheila Zilinsky. The names highlighted in bold print are those who are not on the roster for the Knoxville conference. As they stood by the sullied reputation of event organizers Mike Kerr AKA Mike Whitestone and his wife Jeannie Moore/Kerr, the missing participants from the Knoxville conference displayed a loyalty unmatched in the Shakespearean-style dramas of the Merchants of Christian Alternative Media. Also missing from the new roster of speakers is Steve Quayle, who for a short time was shown in the photo lineup of the Knoxville conference. Last spring the first conference generated much interest due to the controversy which arose when Nathan Leal reproved the New Age heresies of Dr. Ted Broer. As a result of listening on December 18, 2015, to that particular Hagmann/Broer interview, Nathan Leal made an attempt to deal with the heresy issues with the organizers of the Hear The Watchman Conference, as both men were scheduled to speak on the same platform. When that discussion failed, Leal issued a letter of resignation from the conference on December 23, 2015, as a matter of conscience. 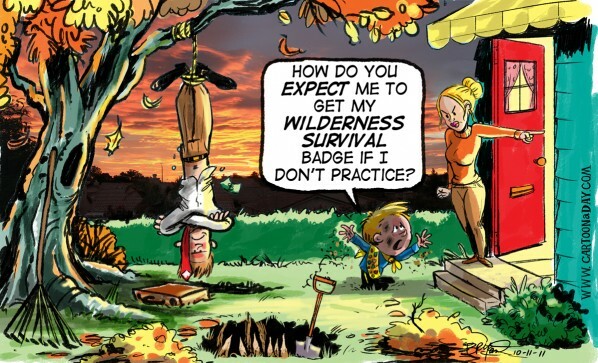 Subsequently, Dave Hodges on his Commonsense show defended Dr. Ted Broer’s version of events. In the meantime Donna Leal had mentioned in late December that they had been threatened with a lawsuit regarding “fair use”. I am guessing this had something to do with the audio created by Nathan Leal explaining precisely why he had disagreed so strongly with Broer’s theology. Leal had wisely used sound bites from the radio broadcast so that the listener could hear what had been stated. By January 8, 2016, this audio had been removed from Nathan Leal’s website. John Little of Omega Shock defended Nathan Leal, and provided key information on the behind the scenes attacks against Leal which had resulted when he publically stated his reasons for separating from the Hear The Watchman Conference. On January 4, 2016 in response to this incident, I posted Kudos to Nathan Leal of the Watchman’s Cry for Standing Up (For a Few Days Anyway) to Dr. Ted Broer, Hagmann and Hagmann and Dave Hodges. I was quite surprised by the high numbers of readers interested in this particular incident. And so on January 11, 2016, I wrote another article involving Steve Quayle and Pastor David Lankford, who were pressured to publically comment on the underlying causes of this controversy. On January 28, 2016 I posted Cloven Tongues of Strange Fire: The Continuing Controversy of the Hear The Watchmen Conference, and two days later on January 30th again posted another article called, The Sins of Christian Marketplace Conflicts of Interest: or when Doug and Joe Hagmann, Did You Intend to Release The Results of Your Background Investigation of the Founders of the Hear The Watchmen Conference? Eight more articles ensued discussing the shady fund-raising history of the fictitious name Mike Whitestone AKA Mike Kerr and his wife Jeannie Moore/Kerr and their GOFUNDME account, as well as Doug Hagmann and John B. Wells’ attempt to defend the duplicity of Mike Whitestone. Other articles can be found on this blog on the speakers and persons connected with the first conference including Jon Robberson (The Hollywood Insider), Paul McGuire, Flip Benham, Sheila Zilinsky, Pastor David Lankford, Steve Quayle, Dave Hodges, and Dave Daubenmire, who dresses in a baseball oufit, who I noted was a key defender of tax fraud Dr. Dino. When the Dallas conference was concluded, a roster of possible participants for the Knoxville conference was shown, including a photo of Steve Quayle. Since he will not be present, I note that one of the speakers added to the current line-up is another drama queen, Anthony Patch. On February 15, 2016, I wrote about his strange antics in a post called The Real Reason The Men in Black Tried to Silence Anthony Patch. Without Douglas Hagmann, Sheila Zilinsky, and Steve Quayle to bolster the second Hear the Watchmen Conference, it would appear that this upcoming event in Knoxville, Tennessee, will be just one more dreary conference. Perhaps Russ Dizdar might prove to be interesting, particularly as one attendee in the Spring conference who refused to clap at his speech, was ousted as a possible terrorist suspect. I may yet examine all of Dizdar’s material in-depth, having only perused through some of his audios. Of note is that this month someone used my email contact information, without my permission, to subscribe me to Russ Dizdar’s newsletter, notices, book discounts, and upcoming event notices. A short summary of key events given below will remind my regular readers that the brouhaha associated with the Nathan Leal/Dr. Ted Broer controversy represented a real crisis in the inner circle of Doug Hagmann and Steve Quayle. Nathan Leal had for some time been a featured repeat guest on the Hagmann show, but his brief stand against the heresy of another Hagmann guest represented a breach of the code of loyalty of the brotherhood of this Alternative Media universe. Into the breach jumped Dave Hodges to defend Broer. 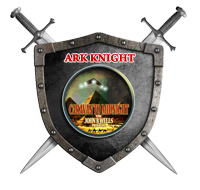 And then on January 7, 2016, Steve Quayle and Pastor David Lankford publically commented on this situation, due to the pressure from their inquiring listener base. John Little then defends Leal, and brings to light the unsavory actions of the conference organizer Mike Whitestone, who is trying to distance himself from critical newspaper articles written exposing his fundraising tactics under his real name Mike Kerr. His wife’s toffee business is a sponsor of the Hagmann broadcast. On February 20, 2016 I wrote an article called The King of Jousters, John B. Wells and his ARK Knight-errant, Sir Douglas Hagmann give a Private Exhibition of Their Prowess. In this article as well as others, I transcribe the audio of the men defending the shady actions of their friends who partner and promote each other in the Alternative Media. On March 2, 2016 Douglas Hagmann ranted on air against bloggers who transcribe his every word. 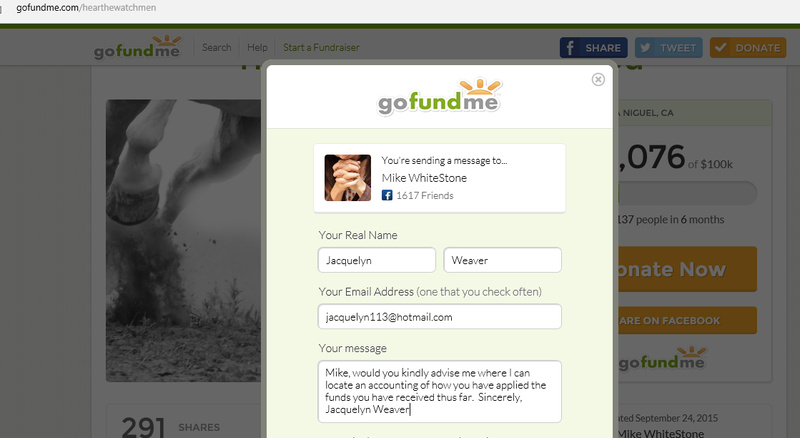 Last year I asked Mike Whitestone for an accounting of his GoFundMe account and was ignored. This year he lowered his monetary goal and added that this account was set up for Jean Moore, as I had questioned the legality of using a ficticious name. I had heard that Jean Moore had married Mike Kerr and I do not know if she retained her prior surname. If not, then this is another Red Flag day for the Event Organizers who like to confuse the paper trail which those nosy IRS auditors like to sniff out. Publicity of the Leal/Broer/Mike Whitestone/ Dallas Hear the Watchmen conference had gotten so far out of control that a diversion smoke grenade was tossed out on February 25, 2016 by Steve Quayle who had issued a QAlert headlined as Timothy Alberino and His Family Have Come Under A Defined and Very Dangerous Attack Wednesday Night, And, Had Not God Intervened, All Would Have Died. Again in a post, I transcribed this very strange story, as told by Timothy Alberino and Steve Quayle to Doug Hagmann. Then during the actual conference in Dallas on March 18-20, 2016, Douglas Hagmann claimed that he had experienced major problems with the TSA at the airport, that terrorist threats had been made against conference participants, that he was forced to stay in the hotel and advised not to leave, and that the police had erected a 25 foot surveillance tower at the hotel, of which no one had thought to take a photo of. And then again, there was that man who was viewed as acting strangely because he did not applaud Russ Dizdar. That man in the audience was removed from the conference as a possible terrorist. As is usual with Hagmann, no police reports are provided to support his story with facts. However, after the Dallas conference, the drama continued. 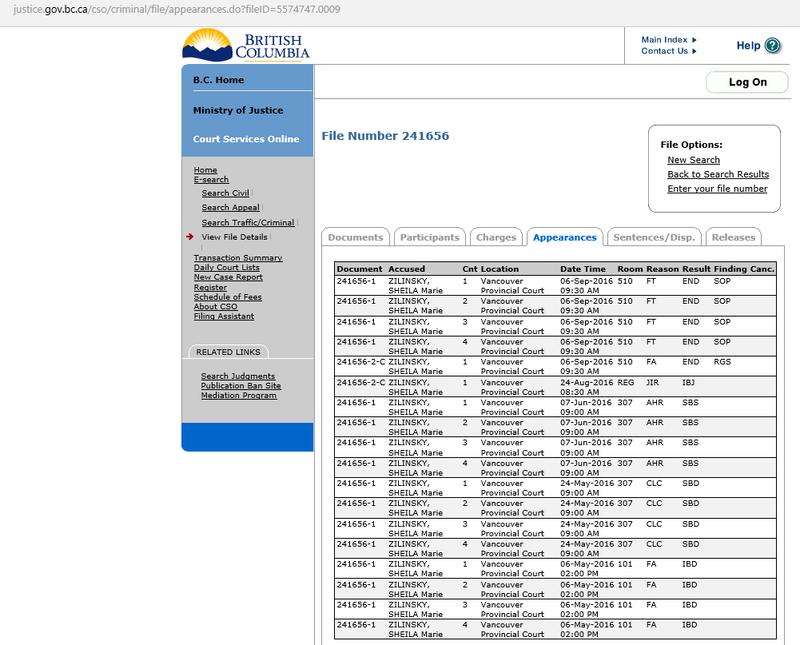 I want to thank the alert reader of this blog who sent me a copy of the Vancouver Canada Provincial Adult Court docket. We must recall that the Event Organizers and attendees claimed that the Dallas conference was anointed by God and a great success. But within 3 days of the conclusion of this God anointed event, one of the emcees, referred to by Mike Whitestone as a Warrior Woman for Jesus, ended up on March 23, 2016 with charges being brought against her for assault, uttering threats to cause death or bodily harm, causing disturbance, mischief-obstruction/use/enjoyment of property in Vancouver, Canada. As the title of this post suggests, indeed the Dallas Hear The Watchmen Conference will be a hard act to follow by those participating in this month’s Knoxville event. Recently I received 3 emails from a person who was concerned about the Hear The Watchmen conference organizer, Mike Kerr AKA Mike Whitestone, and his past and present use of Veterans, Christians and persons-in-need as a means of fundraising large amounts of money. A more specific question addressed Mike Whitestone’s GoFundMe account, and the application of $24,076 (almost one quarter of his $100,000 goal) in donations. 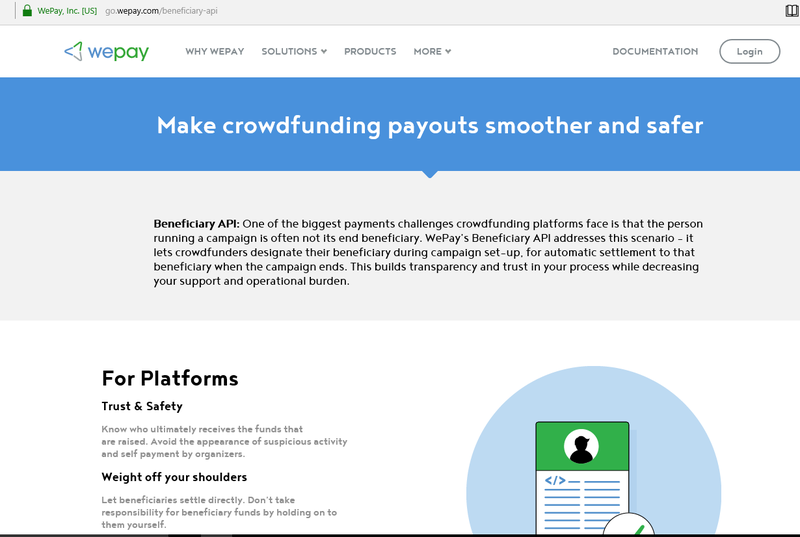 As I began to look into certain aspects of GoFundMe and their use of WePay as a settlement account, red flags were rising on the potential for hidden fraud with regard to the various methods of withdrawing funds. Readers who have been with me for a while on this blog, know that long ago I had a career in banking at Seattle-First National Bank (now Bank of America) and also at Amarillo National Bank in Texas. During the seventies and eighties I was a Trust Auditing Officer, a Bond Trustee Officer, and later the Trust Officer and Manager over the Trust Operations Department. Thus I am familiar with standard accounting procedures and controls which limit the potential for financial fraud. Generally in this blog I only delve into the surface facts which are publicly known about the subject which I am analyzing. I don’t have the resources to do a deep investigative report, so I concentrate my efforts on increasing the level of understanding of my readers in identifying certain telling features of false Christian ministries, which can be spotted by just a cursory review. The purpose of developing critical thinking skills when entering the strange universe of Christian Alternative Media, is to avoid getting ensnared in a Psy-Op, whereby one is fleeced spiritually and monetarily. Here is a copy of an email which I sent last evening on March 23, 2016 to Mike Whitestone through his GoFundMe account. I am publishing this post before he has had a fair chance to respond, and should he answer my question, it will be posted on this blog. As shown in this screenshot, I asked Mike, “would you kindly advise me where I can locate an accounting of how you have applied the funds you have received thus far. Sincerely, Jacquelyn Weaver”. The very first red flag on this GoFundMe account is Mike Kerr’s use of a false name, Mike Whitestone. As some will recall, I transcribed a portion of a John B. Wells interview with Doug Hagmann which included comments on the use of aliases by Mike Kerr. This quote can be found in my February 20, 2016 post entitled, The King of Jousters, John B. Wells and his ARK Knight-errant, Sir Douglas Hagmann Give A Private Exhibition of Their Prowess. From this interview, Doug Hagmann, who has been a private investigator for some 30 years, has publicly declared that to his knowledge, Brother Mike has only one legal name, which we are then to assume is his given name Mike Kerr. Therefore we are lead to believe that the other aliases which he uses apparently have no legal validity, such as in the situation where someone might create a fictional name under DBA (Doing Business As) state laws. DBA names must be legally registered in order for banks to establish accounts and other financial transaction type vehicles, such as debit cards. So here we have the curious situation where as of yesterday Mike Kerr was asking for donations under a GoFundMe account in the name of Mike Whitestone. He established this account on September 24, 2015 with a fundraising goal of $100,000, headlining it with The Watchmen Need You. And he displays a photo banner of running horse hoofs, with the words The End-Jesus Wins. Above these words are three new photos of the conference which had just been held in Dallas, showing people at an altar call and also getting baptized. One photo is of Joe Hagmann being baptized, apparently as a result of his rededication to the Lord. This is a common practice among Charismatic groups, which allows them to boast of the number of baptisms which they have performed, when in fact they are not referencing first time baptisms of new Christians, but are including persons who are being re-baptized. I am a Baptist, and years ago we used to call this Charismatic practice, “being retreaded”, as if you were to take an old tire and retread the outside. I understand that in history there were persons who had left the Roman Catholic Church, after recognizing it as a whore church, who felt it was necessary to be baptized again because they had been sprinkled as a baby, at a time when they had been unable to have faith in Jesus Christ. However, if your baptism was legitimate the first time, I cannot understand being re-baptized, especially for a feel-good experience, or a photo opportunity. In the Baptist churches which I belonged, there were often “rededications” at revivals; however, all this meant was that the person was publicly proclaiming that they had grown lukewarm and were repenting of that heart attitude. There was never a re-baptism involved, as it would be a mockery of one’s original baptism, which was a precious experience in itself. 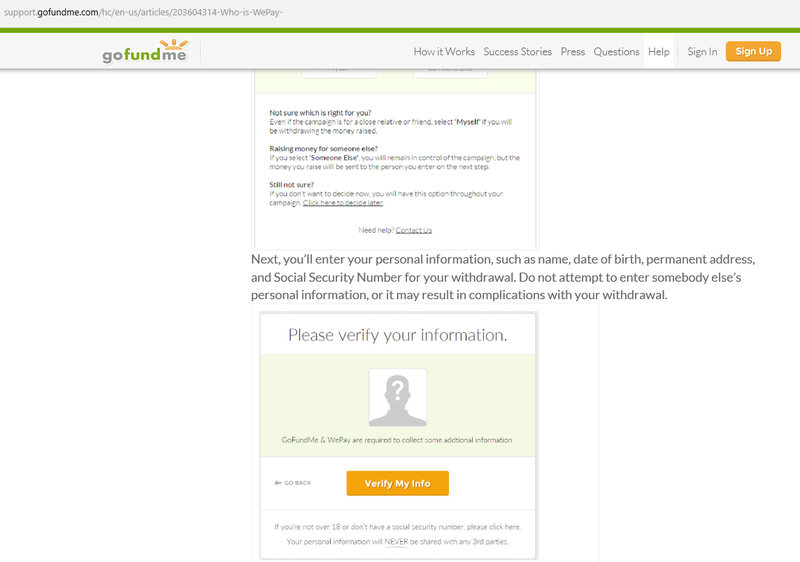 Getting back to our discussion of the questionable practice of using a fictitious unregistered name for fundraising purposes, here is an interesting screenshot of a GoFundMe section on the topic of withdrawing funds. Notice that it is necessary for a Social Security Number to be entered when making a disbursement. A fictitious unregistered name does not have a Social Security Number, unless it is illegally obtained. One cannot set up a bank account under a fictitious name unless DBA papers have been acquired. And the instructions warn not to use someone else’s personal information. To overcome such a situation, we read on WePay that you can make payments directly to the beneficiary, rather than to the account holder. So in the case of the fictitious Mike Whitestone GoFundMe account, just who exactly is the beneficiary? Is it The Hear The Watchmen Conference? Do they have their own tax number and separate checking account? Is it to Mike Kerr or his wife Jeannie, and their personal bank account? We are not given specific information on this, and this is a red flag to any prospective donor. A Social Security Number is a required piece of information for withdrawing funds as these donations are taxable to the recipient, unless funds are dispersed to a bona fide tax-exempt charitable organization. In the past Mike Kerr had displayed a disregard for such legalities, causing issues for his fundraising efforts. 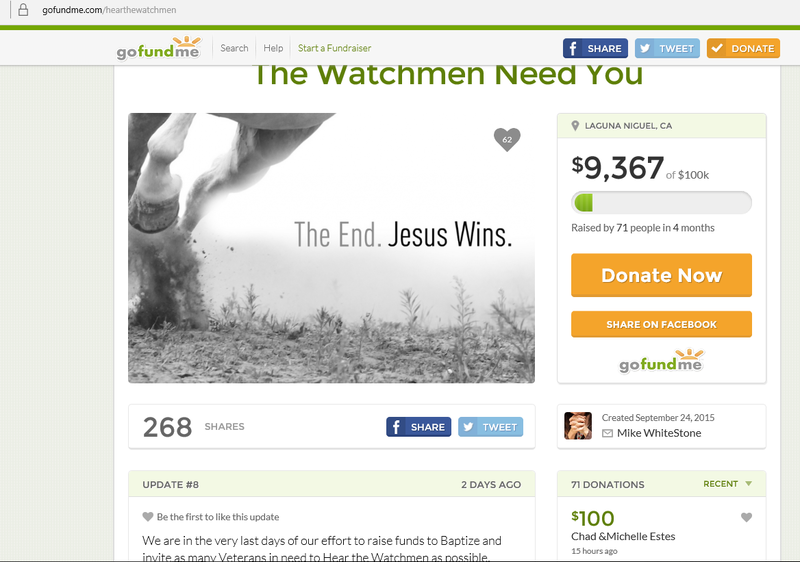 At the beginning of the Hear The Watchmen fundraising, Mike Whitestone claimed that his GoFundMe account was to “raise funds to Baptize and invite as many Veterans in need to hear the Watchmen as possible.” See the bottom line on this screen shot. But now we see that donations are needed to “help the Lord provide for his children”, whatever that means, and to provide A Renaissance Revival via future Hear The Watchmen Conferences across America. And more recently, Doug Hagmann has hyped up all the supposed terrorist threats which had been made against the conference speakers this past weekend, which required extra security measures, so they need your money more than ever. But this all begs the question as to who is personally receiving these funds and how have they been used? 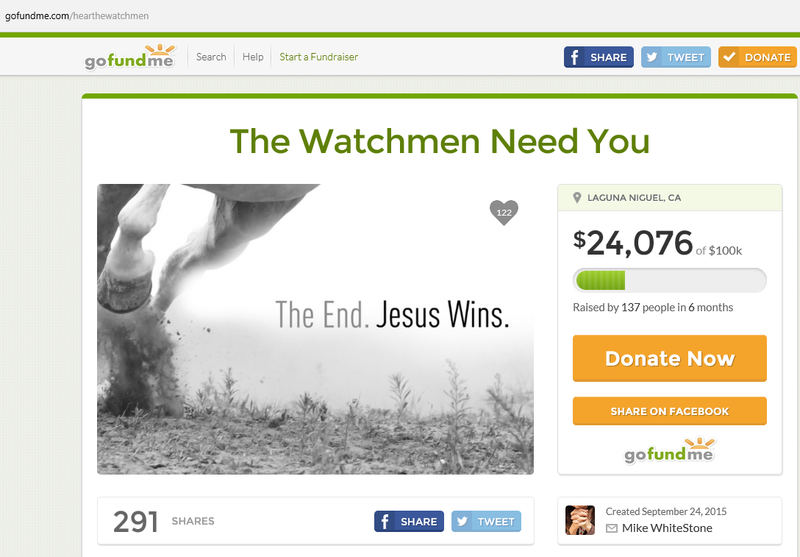 Has Hear The Watchman been set up as a tax exempt organization? Are they providing a public accounting of how these funds were used? Are these funds going to the personal account of Mike Kerr, where behind the scenes, he is able to do as he pleases? Christians are to be honest and trustworthy stewards and without the appearance of evil. The fact is that an implicit fiduciary responsibility was created when this fundraising effort said that donations would be used to benefit Vets who might want to attend the conference. Now we see the purpose of this fundraising changing it’s face so that donations are now being directed for very nebulous purposes of future Hear The Watchmen conferences. And despite the controversy over the aliases of Mike Kerr, this GoFundMe account is still in the fictitious and apparently legally-unregistered name of Mike Whitestone, who as Overseer of these donations, has not offered on this website to provide any accounting of how this money was spent. Consider this very recent example of a lawsuit which was brought because church donations were not used for the purposes stated. The Seattle PI (Post Intelligencer) published on March 1, 2016, an article written by Joel Connelly entitled, Ex-Members, in suit, charge Mark Driscoll with “pattern of racketeering” at Mars Hill Church. The lawsuit makes use of RICO laws, which has interesting implications for anyone who is not only fundraising in a recognized church, but also should give pause to anyone receiving donations who are acting as if they are a “church” by baptizing, giving sermons and altar calls. And should I remind you that communion services and requests for tithes have been part of the “church” services conducted on the Hagmann Report radio show. Noting “a pattern of racketeering” and giving us an example of a $2.3 million fundraising effort for an international mission project, in which only $120,000 made it overseas, this article quotes William Throckmorton, one of my favorite investigative writers over at Patheos, as saying, “They want to know where the money went“. Really? Persons who have donated their hard-earned money want to know who benefited from it? Surely more Christians should be rising up and demanding to know how donations were spent in the name of Jesus Christ, whether in a church proper or by Alternative Media fundraisers for Christ. As Christians, we should remember that the Lord expects a steward to be able to give an account of his stewardship, no matter what the monetary amount is involved. And the Christian is to have standards at least as high as the world’s. For an example of fiduciary accounting, see this Client Trust Accounting Handbook which was made for lawyers who have control over client funds. If you peruse this PDF, you will understand what ethics are involved in handling money for the benefit of another party. Doug Hagmann claims that he asked Mike Kerr AKA Mike Whitestone if he had oversight over his managing of the funds for the March 2016 Hear The Watchmen conference. If so, why is the GoFundMe page still in a false name? If so, why not provide a public accounting of the receipts and disbursements, so that donors know what it is that they are actually funding? If you want to ask Mike Whitestone the same question which I asked, here is the link to his account. At the bottom of the page is a line which reads, What is GoFundMe? Click on the envelope picture for the Contact page, and then click on “Contact the Organizer”. As a refresher, you might want to read this article link , “The Man Behind Snowball Express” which was sent to me by the person who was concerned about fraud in connection with Mike Kerr AKA Mike Whitestone. If and when I get an answer to the question I asked Mike Whitestone yesterday evening, it will be added to this post. Just when you thought it could not get any more bizarre in the Christian Alternative Media Universe, last night The Hagmann Report radio show presented us with a News and Conference Recap, with Doug and Joe Hagmann discussing their troubles with the TSA at the airport, the Hotel Lockdown because of terrorist threats against the speakers, and the Saturday night incident when the “Feds” removed an attendee from the Hear The Watchman conference. Doug Hagmann reassured his listeners that “I don’t like drama”, but then tells the dramatic story of some individual who had been on his show once, who had called up the Grapevine police with a credible threat that involved the speakers. You might want to listen to the whole show as some of this story is told at the start, interrupted, and then later continued after the first hour. Apparently the police erected a surveillance tower with tinted windows which stood 25 feet high off the ground at the hotel, and they would not let Hagmann out of the hotel. And it seems that the attendees were not told the true story, because they were not the targets. However, if you were the one who might get caught in the crosshairs of a maniac, would you not want to know about this, as you sat listening to the speakers? I am getting the idea that something is going on behind the scenes where Hagmann and Quayle (Timothy Alberino story) are getting nervous, and trying to hedge their bets by presenting the public with strange stories of death threats. Are they trying to set someone up? Are they trying to distract our attention from some behind-the-scenes matter which involves them? 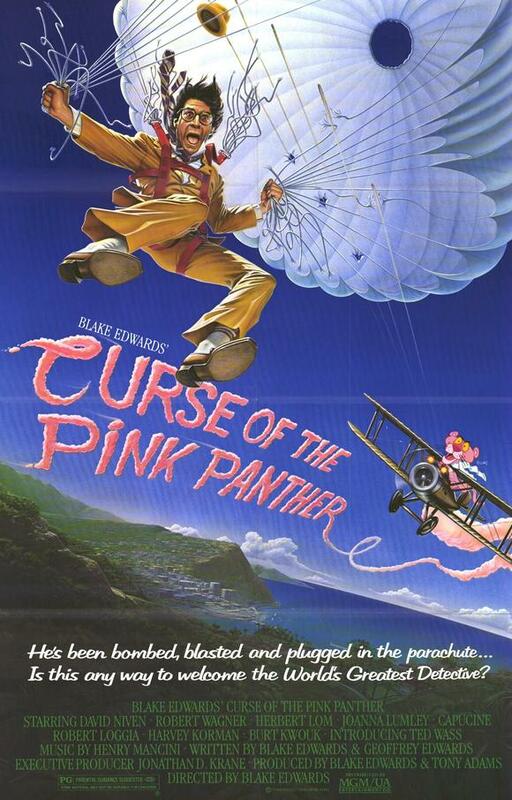 What is this, some kind of Curse of the Pink Panther movie? Doug Hedgeman: (Breathless) Hello folks, welcome to this special episode of the Hedgeman and Hedgeman Report, where we are coming to you alive from the radio and television studios here in Northwest Pennsylvania. I’m Doug Hedgeman at the helm with fellow investigator and researcher, my son Joe Hedgeman. We are the Hedgeman and Hedgeman Report; what I like to think of as the premier father and son investigative reporting team. And folks, what we’re preparing tonight is fresh from Grapevine, Texas, as we grant an exclusive interview with Aurora Justicia who unlike us, was able to break through the airport lines and actually board a plane to the Here A Watchman-There A Watchman -Everywhere A Watchman Conference. Joe, bring Aurora on, if you can figure it out. Joe Hedgeman: We have on the line Aurora Justicia, Chief Reporter for OFF THE WALL NEWS. Hello Aurora, there are many rumors coming from the Grapevine on the Here A Watchman-There A Watchman-Everywhere A Watchman Conference. Since you were actually able to attend, and we were detained for a week at the airport here in Pennsylvania, give us the real scoop on this much anticipated event. Aurora Justicia: Well first of all, let me apologize for causing your father a little trouble. When I heard that the TSA agents were holding up Doug because of a strange little credit card thing in his wallet which looked like a knife, I immediately called the TSA and told them that they were making a mistake. I explained that Doug Hedgeman was a Blood Splatter Expert, and before I could continue, they jumped on this little fact, and concluded without merit I might add, that he had just killed someone. Of course then they discovered that he was carrying 150 copies of his new book, Stained By Blood and then when he started to speak expletives and tell them that he was an anointed Watchman for God, trust me folks, it went downhill from there. Never call a TSA agent a nitwit, or you will find yourself sleeping at the airport for a week. Joe: I would have gone on ahead of my Dad, except that I had a few problems of my own. It seems that the TSA were unaware that a married woman might possibly have a maiden name, and they just assumed that all of the documentation that we brought was forged, because who brings real documents to an airport? Aurora: Mike the Cur, the conference organizer has reported that this conference was a real success. But I am here to testify that he is lying and I can prove it. Prior to the attendees showing up, Mike the Cur presented us with a video boasting that Jesus had shown up and the healing had already begun. Then later, he claimed Satan showed up and messed up their live streaming so that they were forced to have to offer those folks who had paid for this service, free streaming for 30 days. I am not Satan no matter what this man claims. All I did was flirt with those cute techy guys and had each of them hold the end of two wires. How was I to know that when I plugged the line into the electrical outlet that they were in fact standing too close to each other, creating an Electrical Arcing Effect, which shorted out all of their equipment? Who do you think I am, Tesla? I tried to apologize, but when someone goes on international radio and YouTube calling me Satan, the end is near, as far as I am concerned. Joe: Uhhh, Dad, why are you pounding your fist on your keyboard at 1,000 words a minute? Doug: That that that itty bitty blogger is in the chatroom causing trouble. I’ll fix her!!! The latest intel I got on her says that she can only type 35 words per minute with eight errors. That job she got at the bank years ago was because she was wearing a mini skirt. Well, I told her off. I said TYPE THIS if you can, you you Holier Than Thou Christian!!! Do you know what? She could not keep up with me. From now we must speed up our conversation on the radio in order to outpace her transcription skills. Got that Quayle? Got that Joe? Aurora: Is that why Steve Quayle cancelled his appearance due to unforeseen circumstances this week on the Jim Bakker show? Someone tipped off Jacquelyn Weaver about that show, so she pulled out her transcription pad, and was just reviewing her miniskirts in her closet, when the message came that the gig was up and Steve (I AM NEVER WRONG) Quayle had cancelled. It would appear that he has hacked into Jacquelyn Weaver’s email account, and now is under the delusion that he knows what she is thinking (as if any man could figure her out). By the way, are the rumors true that he is going to write a book like Jim Bakker, called I WAS WRONG (about the Nephilim),but you will never be able to prove it? Doug: (Gritting his teeth) I know this: Jacquelyn Weaver will never be able to prove anything. The Nephilim are all around me, threats of death, War is raging, Christian against Christian. Regardless of what you say Aurora, my fearful, I mean ah ah ah fearless ah presence was felt at the conference, trust me. I still have disguises from my FBI Operative days, and my double went to this conference dressed as a Paramedic. I can disclose now that the person calling himself Doug at the conference was in fact Anthony Patch with a wig on. Someone who was on this show once before, had called the police and had said that something terrible was going to happen to the speakers. And immediately I knew they were targeting me. Me! Why Me? I’m a nice guy, honest. Trust me, I was in utter fear for my life and was afraid that I would be found hiding out at the Eerie Pennsylvania airport. Why would any one want to hurt little ol’ me? Why, did you know that an elderly woman came up to my double at the conference, saying she hated my stuttering on the radio? But then she gave me a big hug and said, “I Love You Anyway”. Anthony Patch was so taken back by this that he started stuttering, especially when she bought all 150 copies of my book. Mom always comes through for me no matter what. Mom if you can hear this, I love you too!!! Anthony Patch sold only 8 copies of his book and six of those were to his mother. I now know what it feels like to be in a combat war zone. Aurora: I was on your show once. And you can trust me on this, I didn’t make that phone call. I wonder who it was… Hmmmm, so Doug, just who are you trying to set up this time? Got any Grapevine police department “official” reports yet? Just because you are going to post some photos online, means nothing as far as proof goes. I understand there is a good selection of photos on the net which show 25 foot tall Police Surveillance Towers. Just ask Dave Hodges. 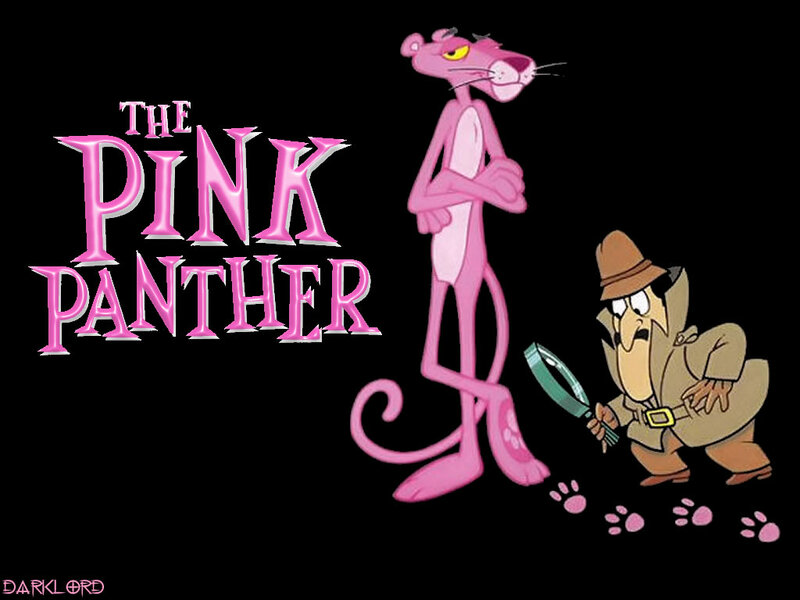 Joe: Sorry Aurora, Dad seems to be reverting a little, he just slipped into another detective mode which we call The Boss of Inspector Clouseau in The Pink Panther movies. 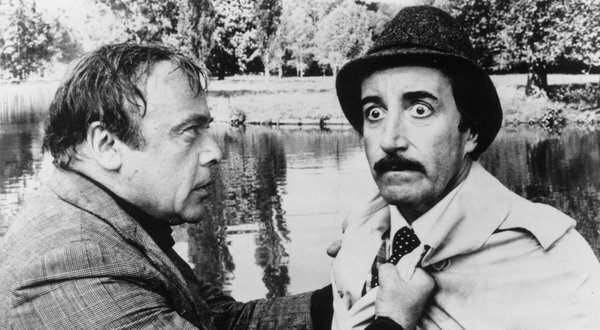 He seems to think that Jacquelyn Weaver has become Inspector Clouseau or something. Dad, calm down. She can’t hurt you. She is in the chat room, which we control. No one is smarter than you Dad; you are the premier father investigator. Breathe out slowly and repeat after me 100 times. I AM the Premier Father Investigator and no one can touch me through the radio waves (except of course, Aurora Justicia who knows how to plug in to such things). Are you feeling better now? Good (swinging a gold watch in front of his father’s face) you are getting sleeeepy. Aurora: Well, let’s have a Reality Check for your father’s sake. The goal of this conference organizer was to have 1,000 attendees. You and your Dad said that 200 people were baptized, or rebaptized again and again, and that 200 people had sent you emails telling you what a wonderful conference this was. That leaves 800 persons unaccounted for. I personally counted 798 police, intel, recon, CIA and NSA agents. There were two reporters. Your Dad claimed that Mike the Cur lost money when he had to hire security because of what was going down with terrorist threats and all. Yet your Dad last night issued a terrorist threat himself on air. He declared that he would never fly again and said that he hoped the airlines would shut down. Is that not a slightly veiled terroristic threat itself? Joe: Uhhhhh (trying to change the subject)….say Aurora, just how did you get in for free? Aurora: I used two 50% off coupons, like those 798 other intel and recon folks, and explained very nicely to the ticket taker that one coupon was for my left side, and the other for my right side. Once the 25 foot surveillance tower was erected, I knew something was up. So immediately all 798 men standing around me offered to be my personal body guard. Who cares that the threat was against the speakers and not the attendees? I reminded the conference organizers that the terrorist might not be a good shot, so I demanded a refund and they handed me $100 in cash. I should have known at that point, that someone was trying to entrap me with that $100. It had the fingerprints of that one man who actually had paid to come to the conference and was carted away by the Feds, never to be seen again. Now they were claiming that I was an accomplice. As your father said, they suspected this man because he paid in cash (with no coupons!) for his ticket and because he would not let anyone see what was in his “book” or whatever he was holding. And then on top of that, they said it was very suspicious that this guy did not applaud when Russ Dizdar spoke. Why that represents War and Division in the body of Christ!! Joe: The Hotel was on lockdown. The Speakers were too terrified to Saddle for Battle. They were concerned about Christian against Christian at the All-You Can-Eat Buffet. This was worse than Viet Nam or Afghanistan. No one had thought to bring any MREs. And to think we had left Steve Quayle to guard all of our gold and silver supplies. This came close to being a Red Screen situation. Aurora: Well, I have to agree with your Dad on one thing. He said that at the conference NOTHING HAPPENED. Wow, he told the truth for once. Joe: Are you coming to the next conference in September in Tennessee? This one turned out to be more exciting than we had ever expected. Aurora: Sure why not. At that conference I will remind everyone that as Doug Hedgeman said, NOTHING HAPPENED at this conference. But now your father has said that in the secret back room of the conference all the speakers said that it’s gonna get hot this summer!!!!! And that in his opinion WAR HAS BEGUN, CHRISTIAN AGAINST CHRISTIAN. He seems to be hedging his bets that he can SET SOMEONE UP to take a fall, so that all the OFF THE WALL reporters will be distracted from seeing what is really going on. Remember that 25 foot erected Sheriff’s tower with tinted windows? Even if there are real bona fide police reports on this one, we won’t see them. You know why? It would set a precedence! And then we might demand to see all those other police reports we have been asking to see, for the last few years. Joe: Uhhhh, thanks Aurora. What kind of poker should I tell my Dad you are playing here? You can’t fool us hicks down here. We know what is going on with all of these so-called death threats. The Sins of Christian Marketplace Conflicts of Interest: Or When, Doug and Joe Hagmann, Did you Intend to Release the Results of Your Background Investigation of the Founders of the Hear-The-Watchmen Conference? The various websites of Douglas J. Hagmann are undergirded by his company, Hagmann Investgative Services, Inc., where he asks, “Please consider helping us to offset our investigative, research, and broadcasting costs.” A DONATE button is how Hagmann accepts credit card payments, and checks are directed to be made out to Hagmann Investigative Services, Inc. Considering themselves to be premier investigators, both Doug and Joe Hagmann have recalled some of their more colorful investigations during their radio broadcasts, and Doug Hagmann has made the claim in an article posted on his site that he had done undercover operative work for the FBI. 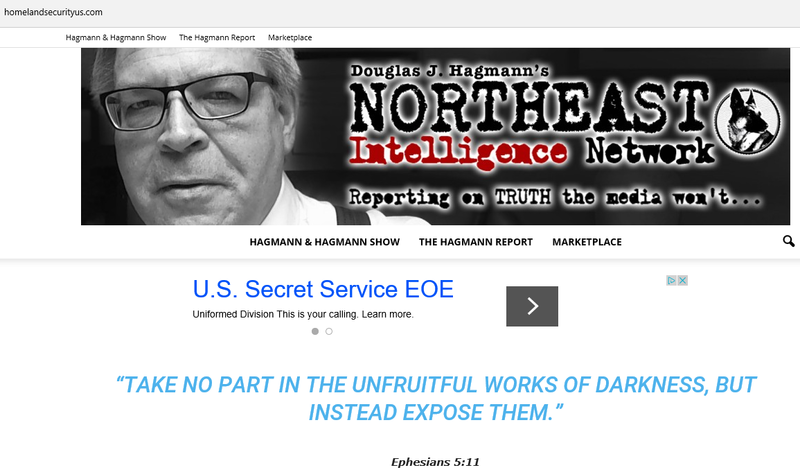 A banner of Doug Hagmann’s face with the words Northeast Intelligence Network, Reporting on TRUTH the media won’t, sits above the emboldened words of Ephesians 5:11 “Take no part in the unfruitful works of darkness, but instead expose them”. The context of these words is Ephesians 5:6-13 “Let no man deceive you with vain words: for because of these things cometh the wrath of God upon the children of disobedience. Be not ye therefore partakers with them. For ye were sometimes darkness, but now are ye light in the Lord: walk as children of light: (for the fruit of the Spirit is in all goodness and righteousness and truth;) proving what is acceptable unto the Lord. And have no fellowship with the unfruitful works of darkness, but rather reprove them. For it is a shame even to speak of those things which are done of them in secret. But all things that are reproved are made manifest by the light: for whatsoever doth make manifest is light”. 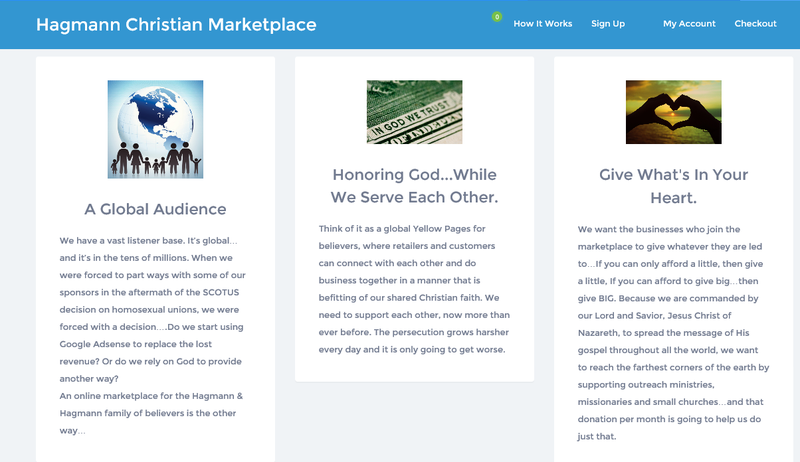 In the past year or so, the Hagmann’s have promoted what they term the Hagmann Christian Marketplace. The very first page one encounters for this internet marketplace says boldly, LET YOUR LIGHT SHINE. When you join the H&H Marketplace you are setting your business in that city on a hill…Ye are the light of the world. A city that is set on a hill cannot be hid. Neither do men light a candle, and put it under a bushel, but on a candlestick; and it giveth light unto all that are in the house. Let your light so shine before men, that they may see your good works, and glorify your Father which is in heaven. Matthew 5:14-16″. Below this is the proclamation, “We Have A Big Family…Come be a part of it.” Here is a screenshot of their promotion of their services. Next we see a photo of two hands forming a heart inclosing the words, “IT’S A HEART ISSUE”, with the admonition, “Give what’s in your heart”. Below this is a quote from Luke 6:38, Give, and it shall be given unto you; good measure, pressed down, and shaken together, and running over, shall men give into your bosom. For with the same measure that ye mete withal it shall be measured to you again. The Hagmanns have created six sponsorship levels . The first is the $5/month “Give-entry level sponsorship”; the second is the $50/month “It Will Come Back to You-basic package”; the third is the $100/month “Good Measure sponsorship”; the fourth is the “$1,000 Silver sponsorship”; the fifth is the “$3500/month Gold sponsorship”; and the sixth is the “$5,000 Platinum sponsorship”. Each level of sponsorship allows a business owner increasing radio broadcast and internet advertising coverage. 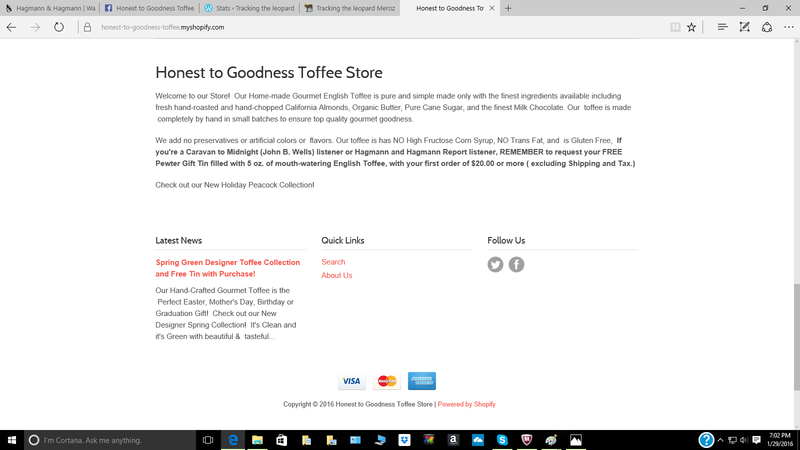 One of the businesses which has repeatedly had advertising on the Hagmann radio broadcasts is the Honest to Goodness Toffee Store.Their website can be found at honesttogoodness toffee.com. 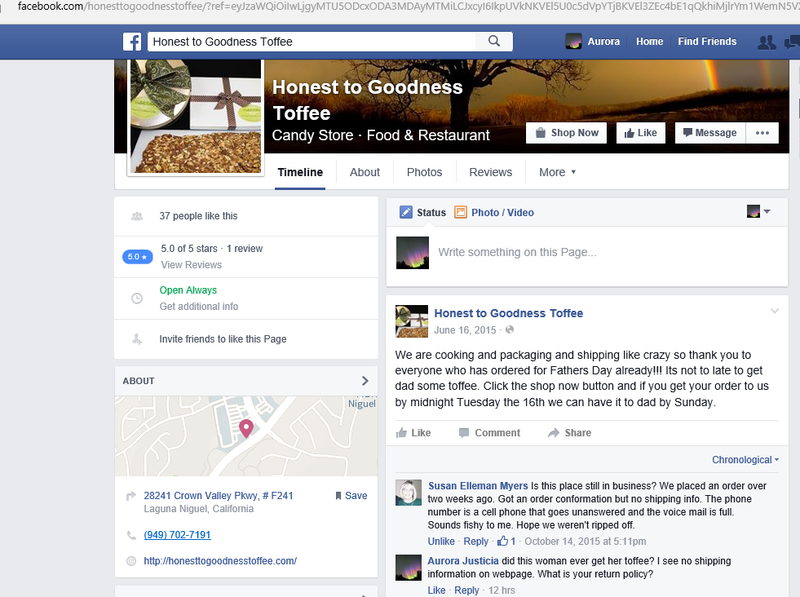 They also have a Facebook page, which is subtitled, “Candy Store- Food and Restaurant”. When one attempts to discover the physical location of this restaurant, the only address provided turns out to be a UPS store, where the box number assigned is called a Suite Number. On the Toffee website, the owner offers to give several discounts if you are a listener of the Hagmanns, and in one instance if you are also a listener of John B. Wells. Honest to goodness, Aurora Justicia, don’t tell me you are now reviewing candy stores? What was Nathan Leal’s crime that he was given an email notice to cease and desist from being the suspected source for the loss of income of the Hear The Watchmen Conference? The Founders here are willing to sell tickets at half off!! Maybe they should cease and desist from this promotion. 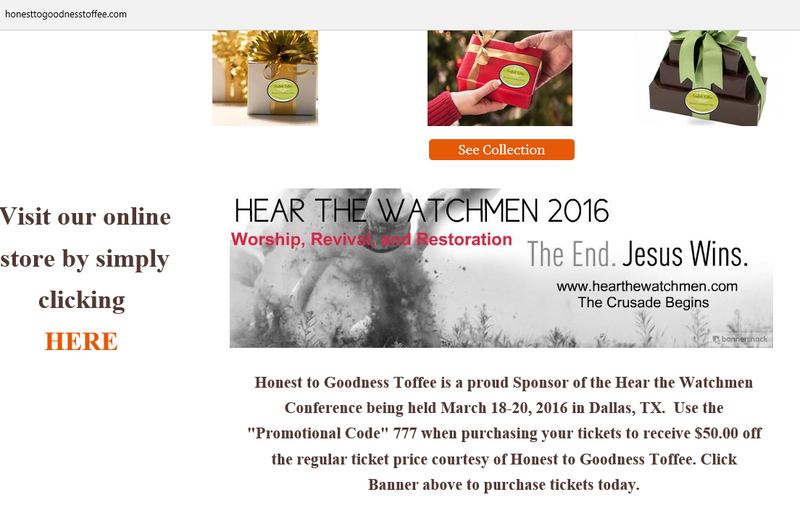 When I first started looking at the problems with the Hear The Watchmen conference, I noted that a Jeannie Moore with the same telephone number as the Honest To Goodness Toffee website, was assisting with the financial transactions of this conference. This particular reference has now been removed, and the email address of Michael Scott Kerr is the new point of communication. In the beginning of my interest in this story, I only knew that a man who called himself Mike Whitestone and his wife Jeannie were the founders of this conference. Steve Quayle in the January 6, 2016 Hagmann Report broadcast referred to them as “a well meaning couple” who wanted to duplicate the success of the Whitestone Remnant Conference. I guess Michael (Mike) Scott Kerr AKA Mike Moore AKA Mike Whitestone was willing to adopt any identity as long as it served the marketing needs of his visions. 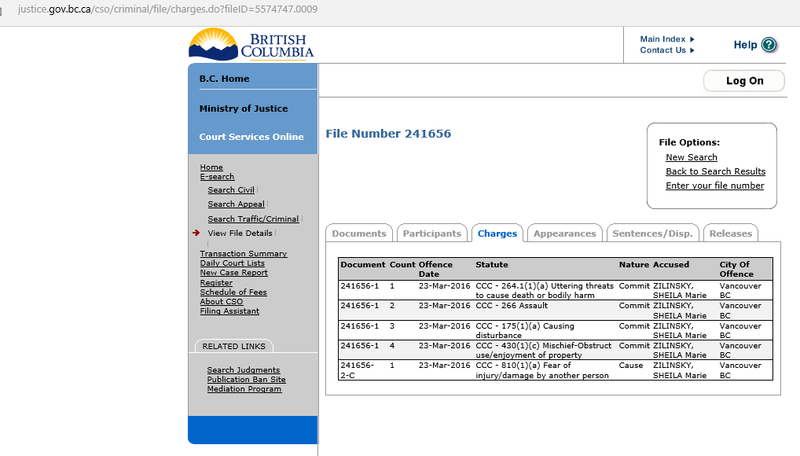 I would have never been able to make these name connections if it had not been for the sleuthing skills of John Little at Omega Shock who wrote a January 29, 2016 post which he entitled, My Report on Nathan Leal. John Little is to be commended for reproving the works of darkness which have attempted to cover over this entire controversy. I had never paid much attention to OmegaShock, but on January 24th I received an anonymous tip saying, “hear the watchman conference attacks John Little”. So I started checking into who this person John Little is. It turns out that John Little displays a great deal more honesty and sincere concern for the commission of sins done in the name of Jesus Christ, than do these Marketplace Christians. What is interesting about John Little’s report is that he is able to provide the missing puzzle pieces to this entire Nathan Leal/Ted Broer/Hear The Watchmen Conference controversy. 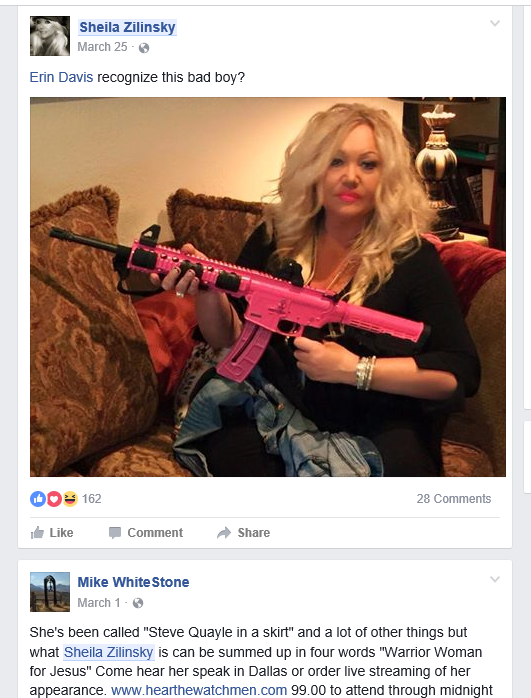 I had not been able to identify the real name, and therefore the actual shady background, of Mike Whitestone. What I found interesting about John Little’s investigation is that his thoughts mirrored my own in the areas where I was able to make an independent investigation. The missing piece of the puzzle was Mike Whitestone’s real name. Are we to presume that the premier investigators, Doug and Joe Hagmann did not know the real name and the background of the founders of the Hear The Watchmen Conference, of which they head the roster of speakers? Did they not know the behind the scenes conflict of interest inherent in the words Watchmen/Christian/Marketplace/Conference? One of the fascinating things to come out of this investigation which was conducted by John Little, is the email cease and desist notice written by Mike Kerr to Nathan Leal and his wife. We must remember that this Cease and Desist email was written by a man, who under the name of Mike Whitestone, set up a Go Fund Me Account, hoping to raise $100,000. Here is a warning made by someone who dealt in the past with Mike Kerr and his fundraising on behalf of Military vets. The entire OC Weekly article dated August 21, 2008 entitled Controversial Philanthropist Michael Scott Kerr’s New Career As A Wrapper can be read here. Maybe someone should send a Cease and Desist Letter to Michael Kerr AKA Mike Whitestone. Oh yeah, someone did. Thanks John Little, your articles accomplished that! No thanks to Doug and Joe Hagmann, whose Marketplace interests have subverted their ability to follow their own scriptural motif, And have no fellowship with the unfruitful works of darkness, but rather reprove them. Ephesians 5:11. How about obeying your own admonition at the Hagmann Christian Marketplace? Separate Yourselves. Show the world you aren’t a tare…!! !